Mission: “To understand, control, and exploit the battle space in order to deliver battle winning Combat Air Power"
Description: No. 1 Group is the operational combat group, controlling RAF fast jet assets. Responsibility for air defence operations for the UK comes under the Group through QRA North at RAF Lossiemouth and QRA South at RAF Conningsby. Motto: "Vincemus" - "We will Conquer"
Mission: "To generate, sustain and develop the forces needed to succeed on current and future operations." Description: No. 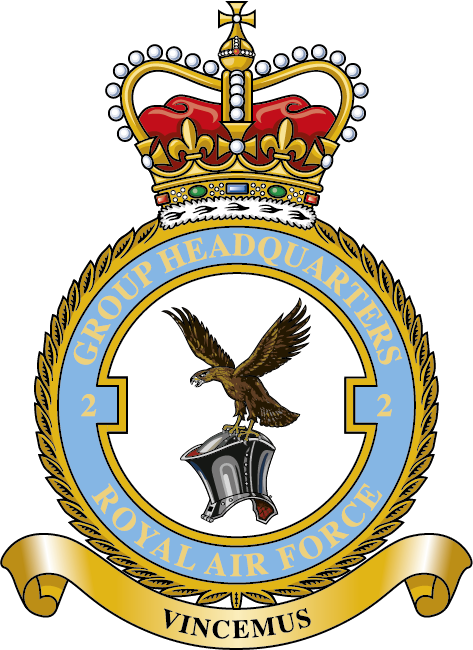 2 Group is responsible for providing the air and ground elements necessary to support the combat arm of the RAF. They have two branches: Air Mobility and Force Protection. They are 'the first to arrive, and the last to leave'. 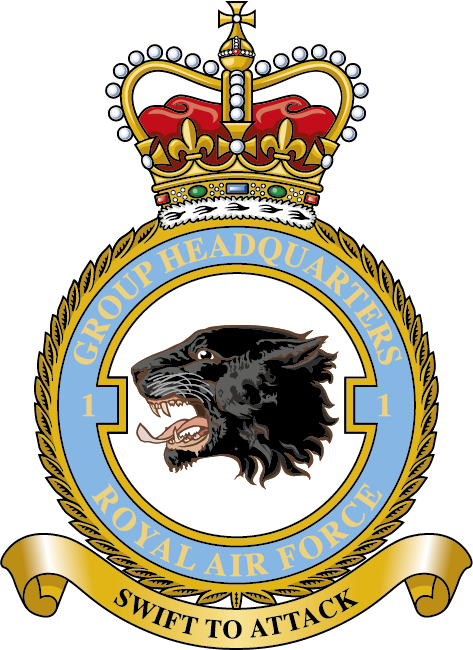 The group controls the RAF Police, the RAF Regiment, air to air refuellers as well as strategical and tactical air transport aircraft along with the ISTAR fleet. Motto: "Tutela Cordis" - "defence of the heart"
Description: The new 11 Gp combines the capabilities of the COS Ops AO with the Air Battle Staff, comprising the deployable Joint Force Air Component (JFAC), the National Air & Space Operations Centre (NASOC) and the Executive Team. It also incorporates the BM Force, providing the building blocks for the generation of a powerful non-kinetic effects capability. Motto: "Semper Resurgens" - "Always Rising Again"
Mission: "To recruit, select and deliver trained personnel on time to meet frontline requirements and deliver a world-class cadet force in order to meet Defence standing, current and contingent operational commitments." Motto: "Par nobil of fratri" – "A noble pair of brothers"
Description: No. 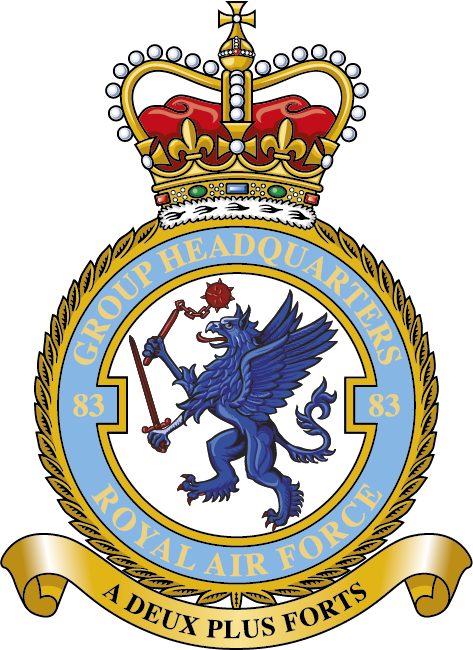 38 Group was reformed in 2014 and brings together the Royal Air Force’s Engineering, Logistics, Communications and Medical Operations units, in addition to units such as RAF Music Services. These units provide essential support to the Royal Air Force, enabling it to deliver operational effect. Although many of Number 38 Group’s deployable Squadrons are stationed at Royal Air Force Wittering, the Group also has operational units and personnel at Royal Air Force Brize Norton (Tactical Medical Wing), Royal Air Force High Wycombe and Royal Air Force Leeming (Tactical Communications Wing). On 1 April 2015 38 Gp assumed responsibility for the RAF Mountain Rescue Service with its 3 teams at RAF Lossiemouth, RAF Leeming and RAF Valley where it is co located with the MRS HQ. AOC No. 38 Group has responsibility for UK-based United States Visiting Forces (USVF) units and for RAF personnel detached to other armed forces around the world. 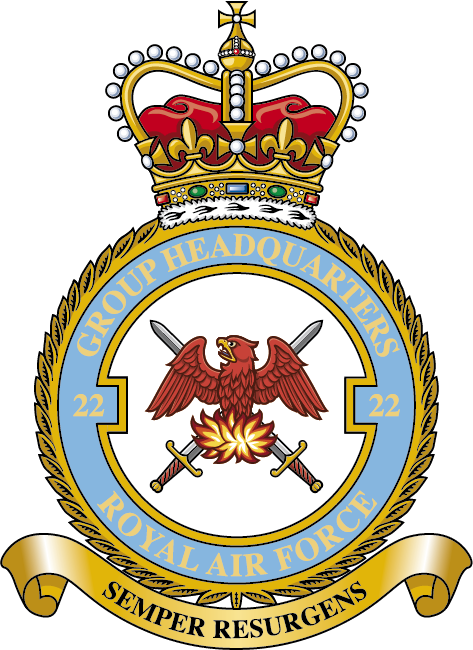 Motto: "A deux plus fortis" - "Two heads are better than one"
Mission: "The RAF's expeditionary air capability in the Middle East." 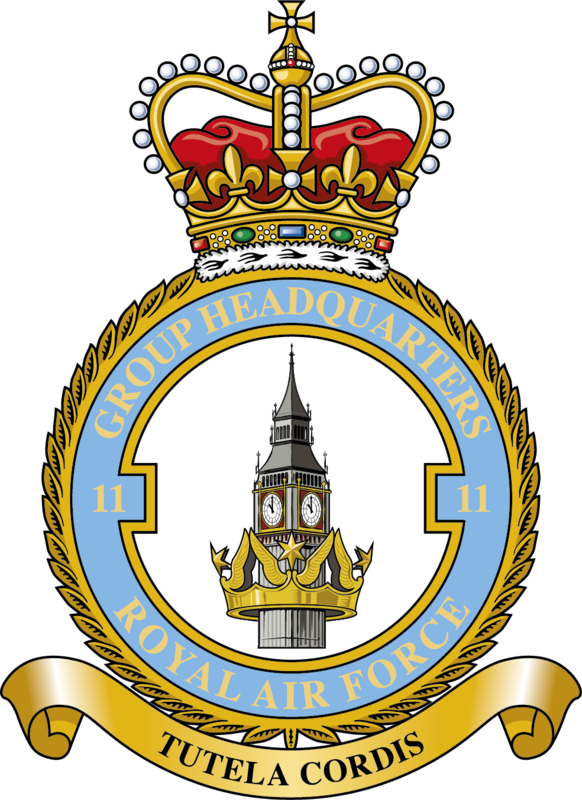 Description: 83 Expeditionary Air Group (EAG) is commanded by an RAF Air Commodore who acts as the Air Component Commander and Air Officer Commanding 83 EAG. They are responsible to the UK’s Permanent Joint Headquarters for the control and direction of 4 Expeditionary Air Wings (EAWs) supporting Operations Kipion and Shader as well as the delivery of UK national and Defence objectives across the Middle East. 83 EAG’s area of responsibility extends from the Southern end of the Arabian Gulf to the Eastern Mediterranean, and encompasses numerous relationships and alliances across the region. The combined efforts of HQ 83 EAG, its EAWs and Force Elements are pivotal in combatting Daesh. They have performed to the highest of standards across a huge variety of Defence missions from Defence Engagement to Air Combat. Nevertheless, 83 EAG are ready to secure Daesh’s lasting defeat and help legitimate local authorities build a stable, prosperous and united future for communities in both Iraq and Syria. Adaptable, capable and operationally focused, 83 EAG stands ready to deliver world class air power wherever and whenever it is required to meet the challenges of the future.